Founded in 2008, doTERRA is a producer of essential oils and aromatherapy products. The Utah-based company has a vision of “providing all families everywhere with the health-promoting benefits of essential oils”. Products are sold by representatives known as Wellness Advocates using a multi-level marketing (MLM) format. Since its creation, doTERRA has introduced its own standard for essential oils. This rigorous, testing process includes microbial testing, organoleptic testing, Gas chromatography and Mass Spectrometry (GC/MS), Fourier Transform Infrared spectroscopy (FTIR), chirality testing, isotopic analysis and heavy metal testing. This comprehensive, quality control is designed to ensure oil purity, authenticity and consistency. The doTERRA MLM operates primarily in the United States, Canada, Australia and New Zealand. Product manufacturing and packaging are consistent across doTERRA international markets but not all products are available in every country. In 2008, doTERRA launched with a first offering of 25 single essential oils. Today, the company offers a comprehensive inventory of single essential oils from around the world. doTERRA offers a variety of diffusers and humidifiers to use with your essential oils. In addition to essential oils, doTERRA offers a line of user-friendly doTERRA diffusers. Each doTERRA oil diffuser can be used with any essential oil, but some models may also double as a doTERRA humidifier. Depending on the included features, doTERRA diffuser cost will vary. doTERRA kits are a specialized collection of doTERRA essential oils that are intended for a specific purpose, such as detoxification or supporting the immune system. Kits may also include additional doTERRA products or diffusers. The doTERRA family physician kit contains 6 doTERRA essential oils and 4 blends, each in a 5ml bottle. The essential oils come with a usage chart and audio CD featuring doTERRA’s Dr. David Hill explaining the benefits of the essential oils and how to effectively use them. There are several kinds of doTERRA enrollment kits available for Wellness Advocates. The most popular ones are the doTERRA intro kit (Introduction to Essential Oils Kit) and doTERRA starter kit (Beginner’s Trio Kit). The doTERRA intro kit has three 5 ml bottles of doTERRA essential oils: lavender, lemon and peppermint. Information on the benefits of these essential oils, as well as suggested uses are printed on the box designed for presentation. The doTERRA starter kit contains larger, 15ml bottles of the same doTERRA essential oils: lavender, lemon and peppermint. Clove essential oil is one of the ingredients in doTERRA’s On Guard blend. This blend is available as an essential oil, beadlet, soft gel, roller, toothpaste, throat drops, hand wash and all-purpose cleaner. Primarily used to help alleviate motion sickness through topical use, doTERRA DigestZen contains the essential oils of anise, peppermint, ginger, caraway, coriander, tarragon, and fennel in addition to doTERRA fractionated coconut oil. As one of the doTERRA protective blends, doTERRA On Guard is reported to support immune and respiratory functions, while promoting healthy circulation. doTERRA On Guard ingredients include wild orange, clove, cinnamon, eucalyptus, and rosemary essential oils. The doTERRA Slim and Sassy blend is part of a suite of products designed for weight management. doTERRA Slim and Sassy is intended to promote a healthy metabolism, manage hunger cravings and improve user mood. The blend features grapefruit, lemon, peppermint, ginger, and cinnamon bark essential oils. doTERRA offers a collection of Breathe products designed to minimize the effects of seasonal allergies and support the respiratory system. The line includes an essential oil signature blend, roller, respiratory drops and vapor stick. The doTERRA Breathe ingredients include laurel leaf, eucalyptus leaf, peppermint plant, melaleuca leaf, lemon peel, cardamom seed, ravintsara leaf, and ravensara leaf essential oils. The doTERRA serenity blend, also known as doTERRA sleep blend, is designed to promote relaxation, calm the mind and support a restful sleep. The ingredients of Serenity doTERRA essential oil blend are: lavender flower, cedarwood, ho wood leaf, ylang ylang flower, marjoram leaf, roman chamomile flower, vetiver root, vanilla absolute and Hawaiian sandalwood. doTERRA’s Deep Blue blend contains cooling oils like peppermint, wintergreen, and camphor. Deep Blue doTERRA is promoted as a soothing and cooling blend for massage. doTERRA Deep Blue ingredients include wintergreen, camphor, peppermint, ylang ylang, helichrysum, blue tansy, blue chamomile, and osmanthus essential oils. doTERRA Balance is referred to as a “grounding blend” designed to promote relaxation, tranquility and help ease anxious feelings. doTERRA features a blend of 6 ingredients including spruce needle/leaf, ho wood, frankincense, blue tansy, and blue chamomile flower mixed in a base of fractionated coconut oil. The aroma is reported to be fresh, sweet and woodsy. The doTERRA Purify blend has a refreshing aroma intended to replace unpleasant odors. The ingredients of doTERRA Purify are: lemon peel, lime peel, Siberian fir needle, Austrian fir needle, pine needle, citronella grass, melaleuca leaf, and cilantro herb essential oils. PastTense doTERRA essential oils blend is designed to help ground and balance emotions and ease stressful feelings. The ingredients of doTERRA PastTense are: wintergreen leaf, lavender flower, peppermint plant, frankincense resin, cilantro herb, marjoram leaf, Roman chamomile flower, basil leaf, and rosemary leaf essential oils. The doTERRA ClaryCalm blend is specially designed to provide a soothing and calming effect during a woman’s menstrual cycle. The floral blend can be applied to the abdomen or diffused for a calming experience. The proprietary blend includes: clary sage flower, lavender flower, bergamot peel, Roman chamomile flower, cedarwood, ylang ylang flower, geranium plant, fennel seed, carrot seed, palmarosa herb, and vitex leaf/berry essential oils. Designed to support focus and mental clarity, InTune doTERRA is an earthy and musky study-time blend. doTERRA InTune features amyris bark, patchouli leaf, frankincense resin, lime peel, ylang ylang flower, Hawaiian sandalwood and Roman chamomile flower essential oils. doTERRA Whisper is a complex blend of floral essential oils designed to be used as a fragrance. doTERRA Whisper is reported to combine with the wearer’s chemistry to create a personalized aroma. With a warm, musky fragrance, doTERRA Whisper includes bergamot peel, ylang ylang flower, patchouli leaf, vanilla bean absolute, jasmine flower absolute, cinnamon bark, labdanum, vetiver root, Hawaiian sandalwood, cocoa bean absolute and rose essential oils in a base of fractionated coconut oil. The doTERRA Citrus Bliss is an invigorating blend reported help reduce stress, invoke positive feelings and help purify the air. The ingredients of doTERRA Citrus Bliss are: wild orange peel, lemon peel, grapefruit peel, Mandarin peel, bergamot peel, tangerine peel, clementine peel essential oils and vanilla bean absolute. This energizing blend of essential oils is intended to elevate mood, increase vitality and offer a refreshing aroma. With a sweet and citrusy aroma, doTERRA Elevation features lavandin flower, lavender flower, Hawaiian sandalwood, tangerine peel, melissa flower, ylang ylang flower, elemi resin, osmanthus flower, and lemon myrtle leaf essential oils. Marketed under the name doTERRA On Guard, the doTERRA Thieves essential oil blend is designed to support circulation, respiratory and immune systems. The blend uses wild orange peel, clove bud, cinnamon bark/leaf, eucalyptus leaf and rosemary leaf/flower essential oils. doTERRA essential oils can be used in the same way as any other brand of essential oils. With a diverse range of formats and concentrations, doTERRA essential oils can be used for a variety of conditions. Always read and follow the instructions located on doTERRA labels. The doTERRA headquarters is located in Utah, United States. Customer service (referred to as Member Services) is for Wellness Advocates and those interested in becoming a Wellness Advocate, not individual consumers. The main doTERRA contact number for Member Services for North America is 1-800-411-8151. The doTERRA Utah offices (global headquarters) are located at 389 South 1300 West Pleasant Grove, Utah and are open Monday-Friday 9:00am – 5:00pm (MST). The doTERRA address for bulk pick up is 549 South 1300 West Pleasant Grove, Utah. The doTERRA phone number for Member Services (customer service) in Australia is (02) 8015-5080. In New Zealand, the doTERRA phone number is (+64) 32-88-00-11. For those wondering where to buy doTERRA, their essential oils and products can be purchased through a doTERRA Wellness Advocate or doTERRA distributor. Wellness Advocates are individuals who have purchased a membership with doTERRA, which gives them access to sales and product training, as well as doTERRA wholesale prices. Distributors are individuals who recruit new Wellness Advocates in addition to selling doTERRA products. Like all essential oils, doTERRA prices are based on the availability, quality and type of essential oil. 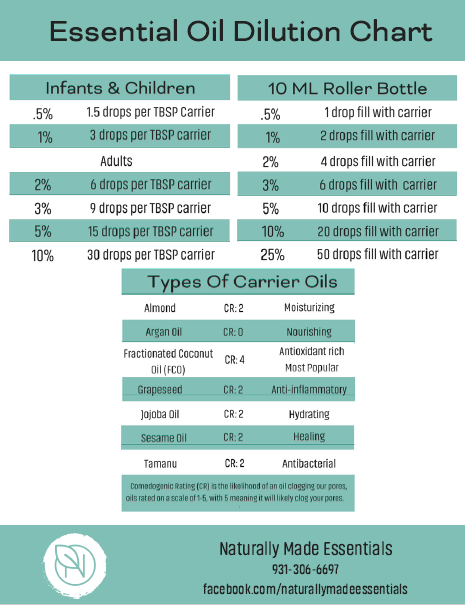 However, in the case of doTERRA oils, there are also wholesale and retail prices. Wellness Advocates (sales reps) will pay wholesale prices and sometimes earn discounts that can go towards the wholesale price. To help retail shoppers, Wellness Advocate are provided with annual doTERRA cost per drop information which they can share with customers. Are you interested in becoming a doTERRA Wellness Advocate? Using essential oils has changed my life forever and I know they can do the same for you. But what if you also had the opportunity to make a full time income from sharing the benefits of them with friends and family? This is truly an amazing opportunity that doTERRA offers as a Wellness Advocate. If you are interested, I would love to chat. Let’s Talk! Schedule a Call With Me Today! Please do not schedule a call with me if you are currently a member of doTERRA. This is for people who are not currently a part of doTERRA.